Now that the gifts are unwrapped and the Christmas ham is eaten, it’s finally time for New Year’s Eve. Although it’s the last holiday of the year, it’s certainly not least. New Years’ Eve is a celebration of everything we accomplished in the past year and the goals we have for the upcoming one. The idea of starting over brings hope and excitement to people all over the world, both of which are truly worth rejoicing. 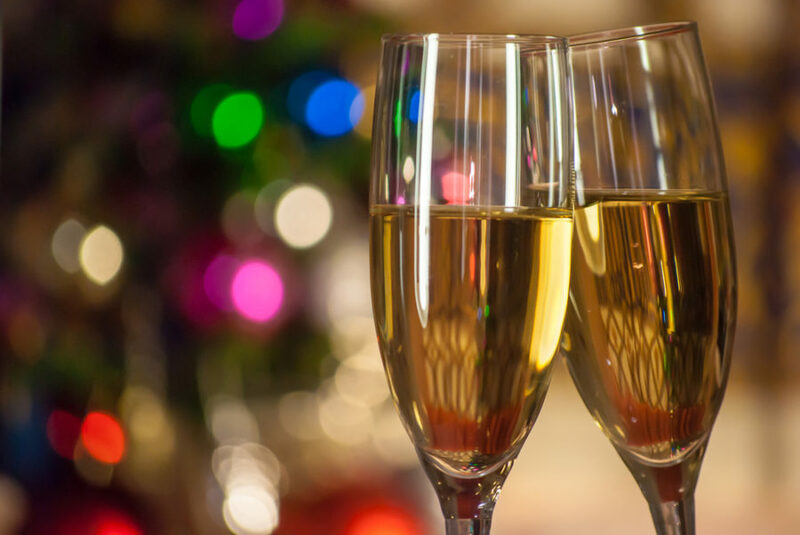 There are dozens of public and private New Years parties all over Dallas this year. If you’ll be counting down to the new year with the DJ’s at Lights All Night, club hopping around downtown Dallas, or enjoying a quiet night at home with family and friends, include dinner at Y.O. Steakhouse in your New Year’s party plans. 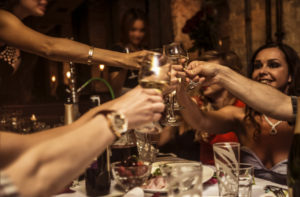 Whether you pair the Grilled Lobster Tail with the Buffalo Filet Mignon, Ahi Tuna Au Poivre with the Petite Filet Bacon Wrapped, or the Blackned Grilled Prawns and Duck Breast, you can enjoy the Surf and Turf Madness special for just $59.00 per person, or $67.00 with a glass of sparkling wine. Our appetizers, new and improved wine list, and dessert menu will also be available as add-ons to the special New Year’s package. When it comes to celebrations, more is always merrier. If you’d like to welcome the new year with a large party of friends and family, consider reserving one of our private dining rooms. We can comfortably accommodate anywhere from 10 to 300 people in our gorgeously decorated party rooms and banquet halls. Our Sales Director will work with you to create the perfect night for you and your party, whether it’s the first stop or the final destination. Spaces are filling up quickly! 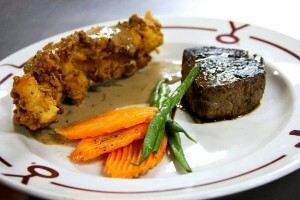 Reserve your table for our New Year’s Eve Surf and Turf Madness today. From all of us here at Y.O. Steakhouse, we wish you a great new year filled with success, good health, happiness, and delicious lunches and dinners at our Dallas steakhouse. Happy New Year!